The first time Lou meets tall, dark, and handsome Christian, she knows he’s hiding something. Why does he clam up every time she asks about his past? Why doesn’t he have any family photos and why does he dye his blond hair black? Then suddenly his terrible secret is unveiled to the world – and it seems everything he’s ever told Lou is a lie. Can what the media are saying about him really be true? Should Lou trust him? Or is she in terrible danger? But Christian isn’t the only one keeping secrets. For what if their chance meeting was no accident at all …? 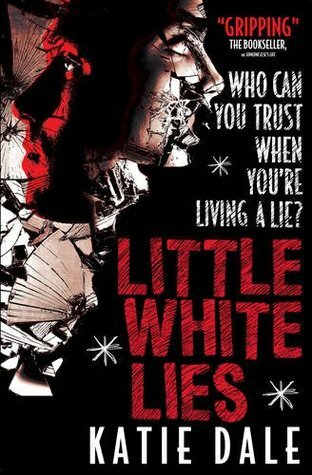 As lie follows lie, nothing is as it seems, and soon Lou finds herself ensnared in a web of deceit, her loyalties torn, her emotions in tatters as she faces a heart-wrenching dilemma: should she shatter the lives of those she holds dearest, or betray the guy who, against all odds, she’s fallen in love with? Categories: Thriller | Tags: Katie Dale | Permalink.